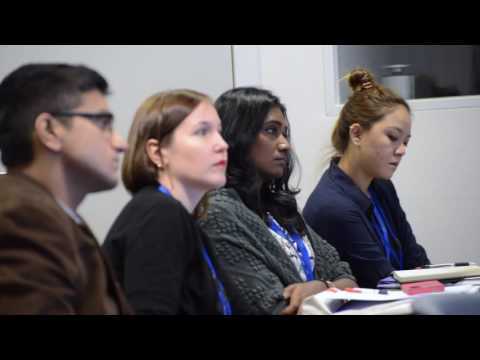 Journalists from 15 ASEM countries came together on 28-29 January 2016 in Brussels, Belgium, for a workshop to discuss the roles and responsibilities of journalists in a digitally connected world. This workshop is a special addition to the 8th ASEF Editors’ Roundtable. During the group discussions and plenary sessions, the participants agreed that one of the most important roles of journalists is to inform their audiences, which could be at a local, national, regional or international level. They also need to write about stories that matter to the people in their communities. They have a responsibility to ensure foreign stories receive the equal amount of journalistic treatment like other local or national stories. The official opening of the workshop was held at the European External Action Service (EEAS), where Dr Mike McCLUSKEY presented the Asia-Europe Digital Connectivity Survey. This survey aims to analyse the current practices of journalists and readers from Asia and Europe. Dr McCLUSKEY is an international media consultant and the moderator of the 8th ASEF Editors’ Roundtable series. The 8th ASEF Editors’ Roundtable series is being organised in view of the Asia-Europe Meeting’s (ASEM) 20th Anniversary in 2016. After Brussels, a 2nd workshop (registration is now open) will take place on 7-11 May 2016 in Guangzhou, China, focusing on the same theme of “Digital Connectivity between Asia and Europe”. The Asia-Europe Foundation (ASEF) is pleased to invite practicing journalists, from ASEM countries, experienced in covering international affairs, to apply for the first ASEF Journalists’ Workshop on “Asia-Europe Digital Connectivity”. The workshop, which will be held from 10-11 December 2015 in Brussels, Belgium will gather 20 journalists from Asia and Europe to discuss media’s responsibilities in sharing information and connecting communities. Travel subsidies and other conference-related expenses will be provided to the selected participants. More information and submission guidelines can be found under the Call for Applications.